Welcome to the Castle of Rauzan ! This castle has been erected on a rocky hill inhabited during Antiquity. The seigneury of Rauzan appeared in the 11th century with a knight named Bernard of Rauzan. The castle was built on John Lackland's request, and was mentionned for the first time in the beginning of the 13th century. King Henry III of England, in 1225, entrusted Lord Rudel of Bergerac, Gensac, and Pujols. Several lords' families succeeded to the head of the castle. Come to discover them during your visit ! If you want to visit the fortress, come to the Tourism Office located at the entrance of the castle. You will discover the history, the vestiges of the Middle Age, and architectural transformation made from the end of the XV century and the beginning of the XVI century. You will admire a beautiful palmer vault on the top of the Staircase Tower, and climb the 31 metres of the keep to appreciate a brilliant view of the village and the vineyards around ! Last tickets: 45 minutes before the closing hours. Guided tours - only on booking. 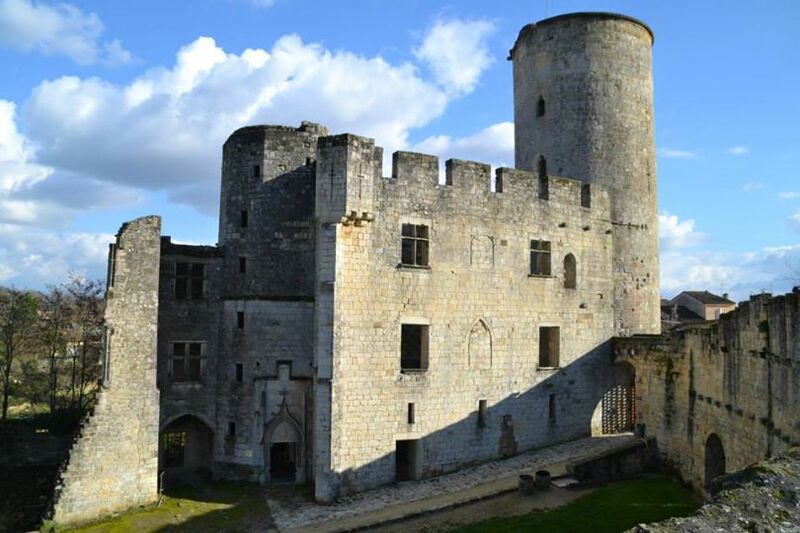 The castle is located in the village of Rauzan in the South-West region of France named "Nouvelle-Aquitaine". We are at 40min from Bordeaux and 15 min from Saint-Emilion.